Luxury vinyl floors come in many forms and are known by many names. One thing they all have in common is their resiliency. Designed to meet the needs of active families with busy lifestyles, luxury vinyl is the perfect way to balance the performance you need with the beauty you deserve. Discover how you can use luxury vinyl flooring in your own home's design. Our experts' tips for proper care and cleaning of luxury vinyl flooring. 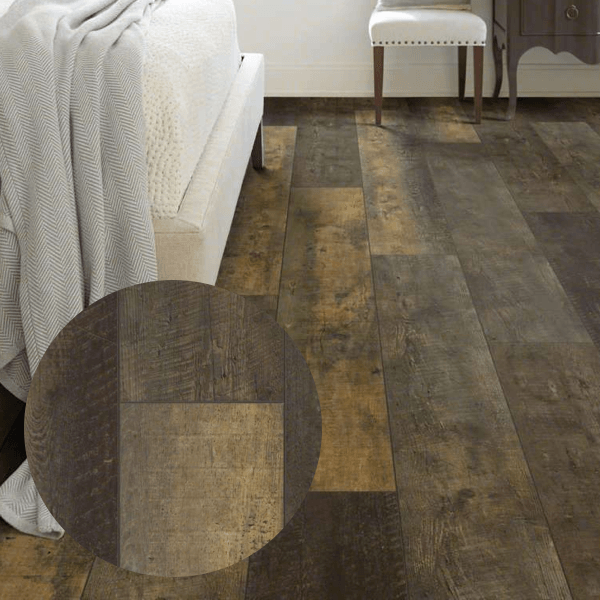 Get ready for your luxury vinyl flooring installation and learn what to expect. 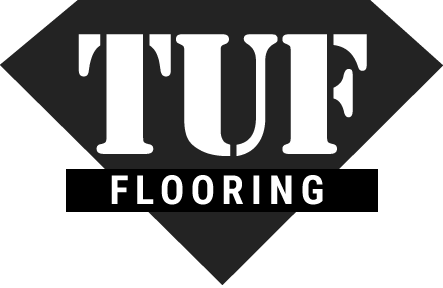 If you still have questions about luxury vinyl or resilient flooring, our experts here at TUF Flooring are happy to help answer them! You can give us a call, reach out online, or stop by our showroom in Boise, ID. We can’t wait to help you with your next flooring project! Luxury vinyl tile (LVT) is designed to look like real stone or ceramic tile floors. LVT mimics the natural textures and colors of these materials hyper-realistically – with some designs going so far as to be installed with real grout! Luxury vinyl plank (LVP) is similar to LVT, just in the form of hardwood planks instead of tiles. Available in a variety of styles, from hand-scraped to embossed wood looks, LVP allows for full customization of a photorealistic hardwood floor! You can also find vinyl in sheet vinyl form, a cushioned product that is able to be adhered directly to your subfloor. At TUF Flooring, we offer sheet vinyl that is just as sleek and sophisticated as LVT or LVP, minus some of the realism that comes from individual tiles or planks. What’s the difference between vinyl and resilient flooring? Resilient flooring is a term that is sometimes used interchangeably with vinyl flooring. However, the two are not synonymous. Resilient is a broader category – a catch-all name that actually includes several different types of flooring. Resilient flooring types have “give”, also known as “bounce back”. They’re not quite hard surface, nor are they soft – more of a middle ground that are durable, flexible and relatively inexpensive compared to their natural counterparts such as hardwood or stone. Some examples include cork, rubber and linoleum. Luxury vinyl, on the other hand, is a specific type of resilient flooring, engineered to resist the types of damage that resilient floors are most susceptible to, including denting.